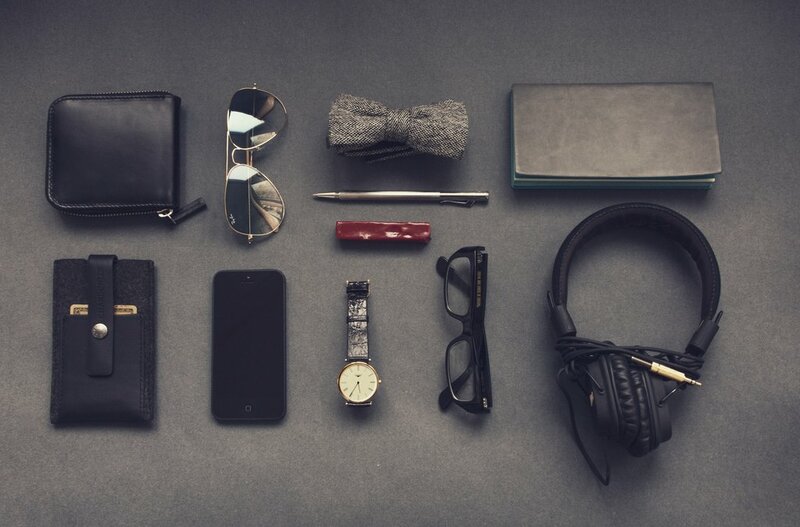 Holiday season is here and now is the best time to find new everyday carry gear. There are plenty of great new gear to choose from with the best deals offered. If your list is not yet complete and are still looking for gift ideas for your holiday gift shopping, from stocking stuffers, useful everyday carry items, or hard to find gear. We have made a list of the best EDC gifts under $50 to make it easy to choose the best pieces of everyday carry gear within your budget. Check out our list of the best EDC gifts under $50. TANGRAM Orion is a compact everyday carry folding knife with a blade length of 3.35 inches. The Japanese made Acuto 440 stainless steel blade is is both corrosion resistant and holds an edge well. The wharncliffe blade style has a non-aggressive look and attractive appeal and is excellent for general utility cutting tasks. Its G10 handles have a nice contoured shape and scalloped pattern on the sides for better grip. A four-position carry clip allows for versatile pocket carry options. Fits well with a black themed everyday carry, Kershaw Leek is similar to the original version but with a black DLC (Diamond Like Carbon) finish for added wear resistance. The knife uses a Sandvik 14C28N stainless steel blade along with stainless steel handles and frame lock. It features SpeedSafe assisted opening for quick and fast blade deployment. The secure frame lock keeps the blade secure during use and the Tip lock slider locks the blade in the handle when folded. The pocket clip allows for tip up or tip down carry. Work Sharp Guided Field Sharpener is a complete sharpening solution for those who need a compact sharpener for use in the field. It consists of coarse and fine diamond sharpening plates, coarse and fine ceramic rods, fine serration sharpener, and leather strop. The built in guide provides consistent angle when sharpening. Work Sharp Guided Field Sharpener is compact, durable, and does not require any assembly and tools to use. This makes it easy to have in your gear bag and ideal to have when out camping, fishing, hiking, or any outdoor activities where you always need to have your tools sharp. SOG PowerPint is a lightweight and versatile multi-tool. At only 5.0″ in length and weighing 4.2 oz, this is a nifty pocket companion that is well suited to any tasks at hand. It has a total of 18 tools packed in a compact design. The tool features SOG’s Compound Leverage feature that makes it easy to open and with increased gripping power when using the pliers. SOG PowerPint is an excellent compact and versatile multi-tool for EDC. SOG Baton Q1 is a unique workplace oriented multi-tool with a sleek minimalist design and useful features. The multi-tool has similar dimensions to a marker pen and doesn’t feel out of place with your other office items. It consists of four useful functions, pen, scissors, bottle opener, and a flat screwdriver. The tool has a replaceable pressurized ballpoint pen which is readily available in most stores. The body is made from anodized aluminum and the scissors are built from 5Cr15MoV steel. SOG Baton Q1 is a very handy multi-tool to have and fits easily in the pants pocket or pen slots in your bag. Kershaw Shuffle DIY is a compact multi-function knife with a 2.3 inch 8Cr13MoV drop point blade. 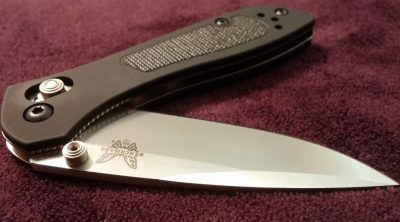 The blade has a black oxide coating to protect the blade. The GFN handle scales can store two screw driver bits. The back of the handle has a bit driver, keychain ring, and bottle opener. This is a great utility knife and the added functions makes it great for work or outdoor use. Gerber Suspension NXT is an upgraded version of the popular Gerber Suspension multi-tool. This is now more lightweight, compact, and slim which makes it ideal for everyday carry. It has 15 tools with the most common components outward available and with locking feature for safe operation. The butterfly opening action allows access to the pliers and wire cutters. 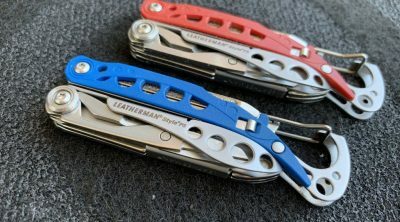 Unlike most multi-tools, this has a deep carry pocket clip and lanyard hole for multiple carry options. This is a compact and lightweight multi-tool well designed when carrying light is necessary. At only 3.6″ long when closed, this makes it ideal for backpacking or hiking, or general outdoor activities. Gerber Crucial features eight useful tools which includes a flat and Philips screwdriver, combo blade, wire and strap cutters, and pliers. It also includes a carabiner clip and pocket clip for multiple carry options. Gerber Crucial is a great everyday carry multitool when packing light is necessary. Keep your knives sharp where ever you go. CRKT Knife Maintenance tool is the perfect partner for your pocket knives when on the field. It has a tungsten-carbide sharpener and ceramic honing edge that keeps your knife sharp with just a few strokes. The T6 and T8 TORX tools folds away neatly when not in use and useful for adjusting knife screws and pivots. The flathead screwdriver and bottle opener adds to this tools versatility. This tiny knife care tool is lightweight and easily fits in your keychain or gear bag. SOG Cash Card is a combination of a money clip and folding knife, two essential tools to have. It has a minimalist and slim profile that fits easily in any pocket. The full metal construction consists of a blade made from 8Cr13Mov stainless steel with a length of 2.75 inches. Handles have a skeletonized structure for lighter weight and are also made from stainless steel. The strong liner lock keeps the blade secure when opened. Pocket clip can carry folded cash or cards. Vaultskin Manhattan is a slim bi-fold wallet that features RFID blocking for protecting your cards or ID’s. This wallet can fit several US Dollar bills in the main compartment, and up to 9 cards in the card slots. Frequently used cards can be kept in the front pocket for easy access. Vaultskin Manhattan is made from smooth high quality leather and available in different colors. Dango Civilian EDC wallet is a cool minimalist wallet with a sleek design. 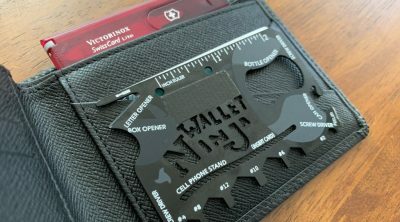 It features a leather main compartment to hold cards and cash, silicone band for versatile carry and a aluminum attachment point for easier grip. Attach a paracord lanyard to the tab for securing your wallet to your belt or keychain. Carry up to 10 cards comfortably in its four sections. The silicone band can carry additional cards or loose receipts. As with other Dango wallets, it is compatible with the Dango MT02 multi-tool. Get all your stuff organized by having this useful travel gear. BOND Travel Gear tool roll is a classic tool roll made from modern materials. The tough ballistic nylon fabric construction resists wear and tear with the stress points double stitched for additional durability. The non-slip elastic loops keeps items securely in place and the aluminum hook holds things together. Useful for designers, artists, or digital nomads. BOND Travel Gear tool roll holds your pens, knives, multi-tools, pocket notebooks, first aid items, and any gadgets neatly stowed in your bag. Outdoor Edge ChowPal is an all-in-one cutlery perfect as an outdoor travel eating tool. It consists of a two-piece stainless steel utensil, that slides apart when in use, and snaps back together for storage. The main components are a full sized spoon and fork with each utensil having additional tools available. The spoon has a 2.5 inch frame-lock folding knife in the handle, and the fork has a bottle and can opener, and wrenches. Outdoor Edge ChowPal is a perfect tool for travelling, camping, or any outdoor activity. Organize your gear in this Mil-Spec pouch from BOND Travel Gear. The BOND Escapade Gear Pouch keeps all your travel essentials neatly organized. Keep your passport, notebook, mobile phone, cables, wallet, pen, keys and multi-tool. It has a tough construction using a durable nylon fabric exterior that is both abrasion and water resistant, with double stitched zippers, and silicone backed loops to keep your gear in place. BOND Escapade gear pouch has plenty of space for your essential travel gear that allows you to travel in style.